Dhaka, 12 December 2016, IDB Bhaban AUditorium: Launch of the Together campaign in Bangladesh. A panel discussion on the issue of attitudes towards refugees and migrants was held to introduce the new UN campaign to counter xenophobia: Together – Respect, Safety and Dignity for All. The Panel featured Mr. Md. Shahidul Haque, the Hon’ble Foreign Secretary of Bangladesh, Ms. Karen Abu Zayd, Former Special Adviser to the UN Secretary-General for the Summit on Refugees and Migrants, Mr. Robert D. Watkins, UN Resident Coordinator in Bangladesh and other UN experts. More than two hundred participants took part in an engaging and wide ranging conversation with the panelists. 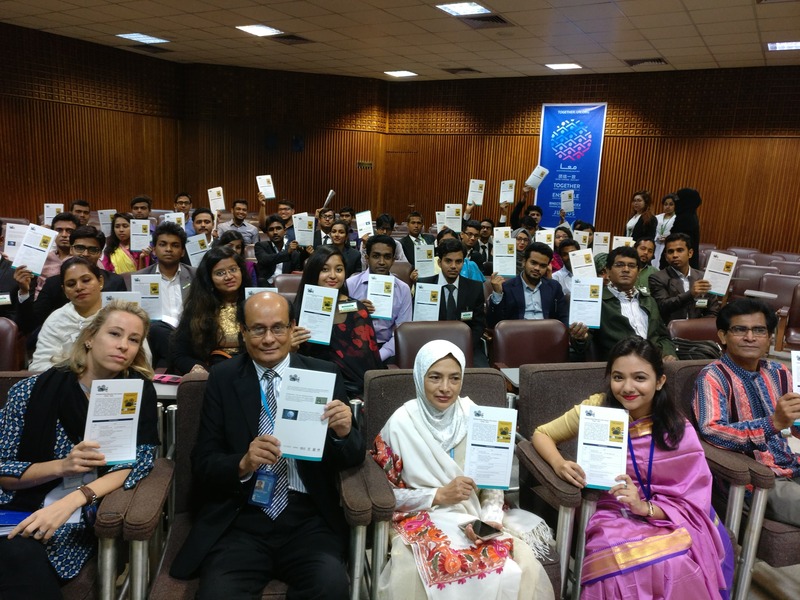 Many young people expressed interest in the Together campaign and inquired on how they could help the UN implement it in Bangladesh. The discussion followed the screening of a movie on the theme of migration as part of the IOM-Together film festival that took place in over 75 countries worldwide between 5 and 18 December 2016.